1 Why alternatives to YouTube? YouTube is the biggest video sharing platform on the internet with billions of users all over the world, but still it’s not the only website to upload, watch and download videos online. 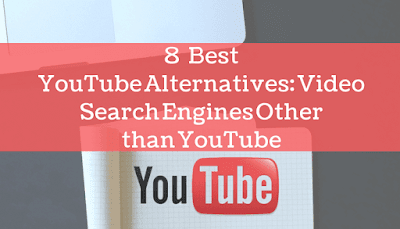 There’s always been many alternatives as YouTube, but unfortunately they’re all gets ignored because YouTube receives huge numbers of views and shares when it comes to online broadcasting and publishing of videos. Now, you might think, “why do I need alternatives if it’s so popular?” You are actually right but still you’re wrong too, ask yourself! YouTube is most popular, but that doesn’t mean the best! 1. Suspending users for no reason and after suspending, you can’t get your account back in any conditions. 2. There could be copyright infringement issues. 3. YouTube has certain restrictions on videos posted on its platform that limits the dynamism of the video as a promotional business video. 4. Related videos that have the same tags as your own aren’t always content related. 5. Earning from Youtube is very less and negative reviews can damage a business reputation. Dailymotion is a place where video-makers are free to share their world and connect with a passionate audience anywhere, anytime. Dailymotion attracts over 300 million users from around the world, who watch 3.5 billion videos on its player each month. At dailymotion you can discover the content you love from around the world, live or on demand: sports competitions, music festivals, comedy skits, political debates, fashion shows, gaming live-streams and many more! Dailymotion doesn’t requires sign up to watch videos online & the fun part is it’s absolutely free! Vimeo was born in 2004, created by a group of filmmakers who wanted an easy and beautiful way to share videos with their friends. Soon enough Vimeo started to spread to all over the world and became trending! Now Vimeo is home to more than: 50,000,000 creators world wide web. To use vimeo free, you need to create create a free account on their site, or else you can select premium subscriptions like Vimeo plus, pro and business account. 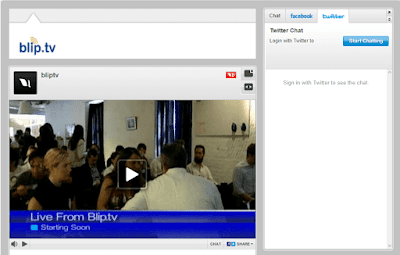 Livestream is a place to broadcast and watch live events in HD quality. Few years ago, creating a high quality live show outside the studio required an expensive TV production truck till livestream arrived. It delivers high-quality real-time video streaming, Livestream video platform isn’t free to use, it requires investment to create a account but still you can use it for 30 days as a trial. Metacafe is the first and only entertainment platform dedicated to show the best short-form videos from the world of movies, video games, T.V shows, Music, Sports and many more! Metacafe contains small videos or short-clips from all over the world, it is absolutely free to use and doesn’t requires sign up to watch videos online. The Internet Archive is a 501(c)(3) not for profit online library. Founded in 1996, thier motto is to provide Universal Access to All Knowledge. They collect published works and make them available in digital formats. “They’re on a mission to build a public library that can serve anyone in the world with access to the Internet”. • 279 billion web pages. • 11 million books and texts. • 4 million audio recordings (including 160,000 live concerts). • 3 million videos (including 1 million Television News programs). Anyone with a free account can upload media to the Internet Archive. Twitch is the world’s leading social video platform and community for video gaming culture. At Twitch each day, around 10 million visitors gather to watch and talk about video games, music, the creative arts, themselves, and other beyond gaming topics with more than 2 million streamers. You are always invited to join the millions of people who come to Twitch to stream, view, and interact around these shared passions together. • People enjoy watching others who are highly skilled or extremely entertaining when it involves a shared interest. • Twitch is an honest means of discovery proven to influence video game purchase decisions. • Twitch is more than a spectator experience; it is social video that relies on audio and chat to enable creators and their audiences to interact in real-time about everything from gaming and pop culture to life in general. Veoh is now part of “Qlipso”, –the revolutionary social content sharing company. By filling the gap between uniquely social interactive user experiences and the portability of online video, games, music and other multimedia, Qlipso empower users to share the Flash-based media content they find and enjoy on the Web and interact with friends and family in a secure and friendly virtual environment. Veoh enables users to identify themselves using 3D animated avatars, webcams or Facebook thumbnails, along with social features such as video, voice and text chat; all of which can be accessed within the same user interface, allowing users to view online content while having the ability to see and chat with one another. Vube is the newest video broadcasting site in this top 10 list. Vube went live in early 2013 and with in a few months, It has reached in the list of top 100 most visited websites of the world. The site is driving massive amount of traffic from its aggressive marketing strategies. The UI is clean and simple to understand, browsing experience is also decent. You can freely upload videos on this site after registering for your free account, uploading process is quite simple to follow. The site is currently running contests to make sure that the users generate higher quality content. If you are looking for YouTube alternative for user generated content then you must give this site a try. I hope you’re fimilar with the term “flickr”, it is mainly used for hosting images but It also lets users upload and share videos, many peoples are still unaware of this fact. For uploading a video, sign up for your free account and start uploading videos in the same way as you upload images on flickr. You can upload videos in HD quality too. Flickr free account comes with 1 Tb memory and pro account comes with unlimited storage space, free from ads and provides detailed stats. If I talk about it’s features, there’s not much to look in to flickr when it comes to videos. Blip.tv provides awesome browsing experience. There’s a lot of high quality video content available on the site in the categories ranging from animation, comedy, drama, movies, entertainment to tech, how to, news, sports etc. Currently, Blip.tv isn’t open for new user registrations so you won’t be able to upload anything but you can browse a lot of quality content, find inspiration and learn new stuff. Atlast, These are the top 10 online video sharing sites on the Internet. Some of these sites may offer what youtube fails to offer to their users, but still Youtube is the best among these similar video hosting websites. So, now that you know all of the best fimiliar sites to YouTube, do you happen to know of any other similar site? Feel free to share your thoughts in the comment box given below.